Golden Age Media can offer you a professional email solution with either individual email accounts or more greater email solutions with employee collaboration and knowledge sharing features. Empower your employees with the resources and technology to effectively collaborate in today’s workplace. Our email hosting plans also feature anti-virus, anti-spam and anti-phishing software to help block those pesky and often virus ridden unsolicited emails. You will receive full access to Whitelist/Blacklist configuration options/management and configure what email restrictions are in place. 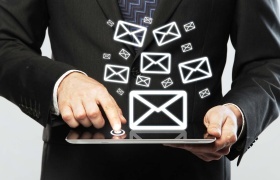 Please contact us on 1300 766 713 regarding what email hosting solutions we can provide you.